If you’re reading this, you’re probably thinking to visit Bulgaria and are looking for a useful Bulgaria travel guide that can help you plan your upcoming trip. Bulgaria is in my Top 5 destinations EVER. This little gorgeous country, neatly tucked away in the Balkan Peninsula, offers a delicious menu of high-peaked mountains, sunny beaches, fascinating history, and spectacular food. It’s worth a trip. In fact, everything about Bulgaria is a win. It’s cheap, but beautiful; it’s one country, but a wonderfully diverse one; and it has something special to offer to every type of traveller out there! 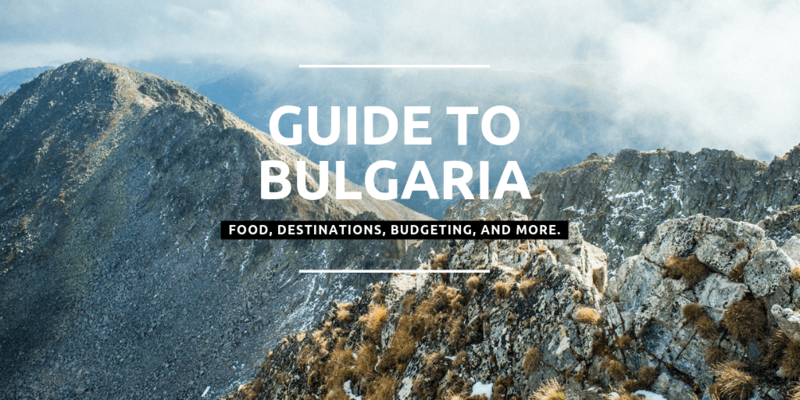 In this travel guide, I prepared a list of some must-visit destinations in Bulgaria, spiced up with expert tips from local Bulgarians and my own pieces of advice to help you plan your Bulgarian adventure. Ready to dive in? Then let’s start! Flights to Bulgaria are as cheap as they can get. Sometimes you can fly there starting at $10 one way (depends from where from, of course). When I went in October 2016, I paid $50 return from Berlin to Sofia. Be prepared to pay more if you’re travelling during high-peaked season in summer, or during the skiing season in December/January. For it’s size, Bulgaria has more than enough airports — 5, to be precise: Sofia (capital), Plovdiv (a small charming town in the middle of the country), Burgas and Varna (two resort cities at the coast), and Gorna (not far from Veliko Tarnovo, Bulgaria’s cultural gem). Most tourists usually fly into Sofia, as the tickets are the cheapest, but for those visiting Bulgaria to chillax at the Black Sea, it makes sense to arrive in Burgas or Varna instead. Public transportation in Bulgaria is not really reliable. Yes, they have an impeccable subway system in Sofia, but getting from one town to another might be problematic, as buses often operate on an irregular schedule. The best way to navigate through Bulgaria is by renting a car. It’s faster, more convenient, and still relatively cheap (especially if you share). How much money should you take to Bulgaria? Good question! For 4 years in a row now, Bulgaria has been famously offering the cheapest beach getaway in Europe at Sunny Beach — and it’s even cheaper in other, less touristy parts of Bulgaria. I spent almost two weeks in Bulgaria and spent around $390 (excluding the flights), which is approximately the same as one weekend in Copenhagen. But definitely a good reason to travel to Bulgaria, though. In bigger cities you can easily pay with cards (Visa, Maestro). In more rural areas, however, I do recommend having a handful of Bulgarian levs on you (1 USD = 1.75 BGN), as finding an ATM might not be an easy task. When it comes to the Bulgarian language, get ready to scratch your head over the weird-looking cyrillic alphabet — the one that most Slavic and Balkan countries have eventually adapted. It wasn’t a problem to understand some written Bulgarian me since I’m Russian, but for many people out there cyrillic letters are just as mysterious as Chinese hieroglyphs. However, Bulgarians speak very decent English, especially in Sofia. So if you’re lost in translation, confused in navigation, and clueless in your direction, just ask a local! They’ll find the words to help. If there’s one thing all Bulgarians love to do, it’s to eat. Bulgarians love food, they eat all the time, and they literally can’t stop. They chew, and they chew, and it feels so delicious that it makes you wanna chew, too! Food is definitely a big part of the Bulgaria travel adventure. 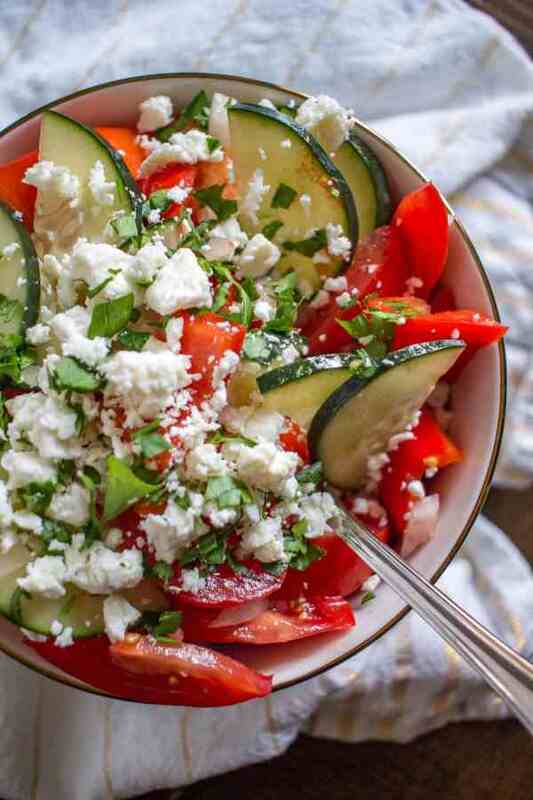 Thakfully, Bulgarian food offers a lot of delicious dishes to chew from. I mean, to choose from. Note that Bulgaria is famous for its yogurt. It’s not any average yogurt, too. In fact, it’s a unique product with special lacto-bacterias that (rumor has it) prolong life and gift eternal youth to those who consume it daily. Bulgarian yoghurt has a different taste from the “normal” yogurt and is also more dense. Kind of like soft butter. Bulgaria, just like Greece, Lebanon, and Egypt, is one of the world’s cradles of civilization. That means that Bulgaria is one of the places where human race, as we know it, has originated. Bulgaria’s history dates back to more than 7 millions years ago, when pre-humans left their first traces in the Balkans. At around 5000 BC, there was already a pretty sophisticated, civilized community, and then later on, there were Thracians, Persians, Celts, Romans, Slavs, Turks, and Bulgars themselves that together shaped a melting pot of what now is modern Bulgaria. In other words, Bulgaria probably has more history than and history geek would be able to consume in a lifetime. And that’s precisely why exploring Bulgarian cities is such an interesting task! Bulgaria’s Big Apple, nation’s beloved capital, the centre of the Balkans, the navel of the world. Sofia is the place to be. East meets West in Sofia. In fact, it’s not uncommon to find yourself standing on a crossroad between an Orthodox church on one side, a Catholic cathedral on the other, and a Muslim mosque right in front of you. In that sense, Sofia is just like Jerusalem, a melting pot of different religions, a unification of different worlds. But unlike Jerusalem, Sofia doesn’t have the stress and tiredness of the overly busy city with overly different cultures. Sofia is relaxed, it doesn’t break under pressure, and it just feels free. 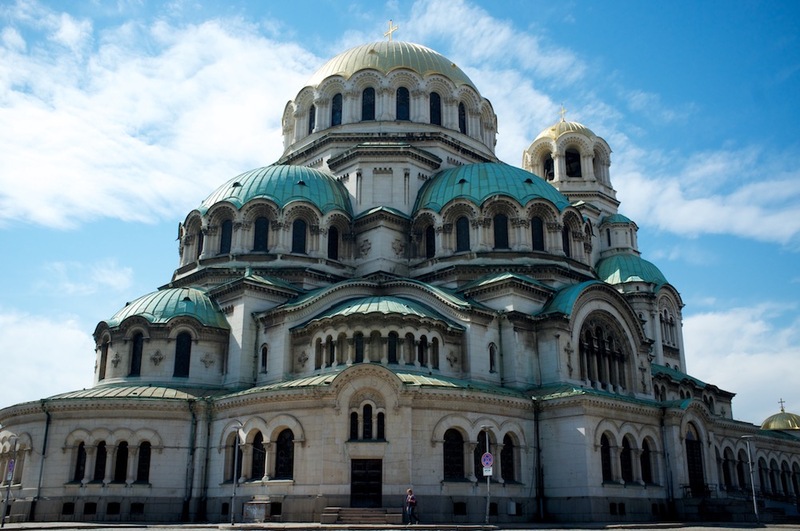 Sofia’s most popular landmark is the Alexander Nevski Cathedral. It’s the bigger Eastern Orthodox cathedral in the world — so big it hardly fits in your camera lens — and it looks absolutely spectacular, both inside and out. I also recommend taking Sofia Free Walking Tour and I highly recommend attending Balkan Bites (aka the free food tour). You definitely won’t regret it. City Garden in front of the National Theatre. It’s perfect for a beer with friends. During summer months it’s stuffed with young people drinking and chatting, it’s amazing. New favorite: Military Academy Park. It’s quiet and drop dead gorgeous. Following Sofia, the next must-stop is the city of Plovdiv, the European Capital of Culture in 2019. Now, why should you visit Plovdiv, I hear you ask? First, Plovdiv is one of the world’s oldest continuously inhabited cities. People started living there at around 479 BC and haven’t stopped ever since. Second, Plovdiv, just like Rome, stands on the Seven Hills. And that’s just kinda cool. Third, Plovdiv is amazingly well-preserved. The Old Town is precious, and the city centre has many ancient Roman highlights to marvel at: a theatre, an odeon, an aqueduct, a stadium, and even a hippodrome. Plovdiv is not only a monument of Roman antiquity, but also Bulgaria’s culture hub. The city has the country’s oldest library and the world-famous Philharmonic, which is associated with some of the biggest names from the music realm, such as Dmitri Schostakovitch and Sviatoslav Richter. There are also numerous art events, exhibitions, little hipster cafes full of digital nomads sitting behind their little laptops, and so on and so forth. Also, my own recommendations: Join the Free Walking Tour Plovdiv and stay at Hostel Old Plovdiv (one of Lonely Planet’s Top 10 hostels around the world). In any Bulgaria travel guide, Veliko Tarnovo will always be one of the top city recommendations. And why’s that? Veliko Tarnovo is the heart of Bulgarian history. One of the oldest towns in the country, its centrepiece is the magnificent Tsarevets Fortress, which is considered to be the citadel of the Second Bulgarian Empire. What’s more, Veliko Tarnovo is tucked away in the dramatic landscapes of the Yantra River, surrounded by the amphitheatre of forested hills, which only adds to its medieval charm. You can easily relive Bulgaria’s past by taking a walk along the lanes and the cobble-stone streets. Explore the Gurko Street, the most charming street in Veliko Tarnovo that is sinking in roses, beautiful old-style houses, and local art shops. Visit the Asenevtsi Monument: located right next to the local art gallery, this monument is impressively huge and incredibly detailed in its ornaments. The panoramic patio around the monument offers the most famous view of the city, with its houses looking like little birds on wires, one above the other. Check the Tsarevets Fortress: the true heart of Bulgaria, Tsarevets will provide lots of historic context about the country — and also challenge the tourists with with a peculiar combination of the ancient Roman walls, medieval architecture, and a communist church nearby. Definitely a must-see! Shtastlivetsa: one of the best restaurants not just in Veliko Tarnovo, but in whole Bulgaria. Mouth-watering menu and a perfect opportunity to enjoy traditional Bulgarian cuisine! City Pub: come to this place for the chill, modern atmosphere and a huge variety of beer. Stratilat: a lovely pastry shop with incredible desserts on offer. Like Plovdiv, Veliko Tarnovo has become a favourite stopover for backpackers and digital nomads, so you’ll easily find an alike-minded soul to mingle with, if you want. As mentioned in the beginning, Bulgaria offers some of Europe’s ultimate beach destinations. Mainly, people head to Sunny Beach for some sun and some beach (I’m funny, I know). However, travel experts, like Nomadic Matt, recommend staying the hell away from Sunny Beach, as it’s become so popular among tourists that it’s become too difficult to enjoy. If you’re on the lookout for the ultimate Bulgarian beaches, use Varna as your city base. The nicest beaches in Bulgaria — such as the wonderful Asparukavo beach or the famous Golden Sands — are just a 20-minute ride away from Varna, so you can easily “get in and get out” if you want. Sozopol, Sozopol… A beautiful, very Games-of-Throney coastal town of less than 5,000 people, it is one of the oldest ones in Bulgaria. If you’re in for antiquities, there’s plenty to see. And if you’re down for beaches, there’s plenty to enjoy as well. The country’s most notable nature attraction, the Seven Rila Lakes is the ultimate hiking destination in Bulgaria. It goes above and beyond the world “beautiful”, and when you visit, you see why. The stunning Seven Rila Lakes are gracing humanity with their majestic presence up in the Rila mountains, hidden amidst the green mossy rocks. If you’re lucky enough to visit the Lakes off season, you’ll experience one of the most tranquil, peaceful hikes of your life, with softening silence wrapping you around like a warm blanket. Gorgeous views promised, as well! 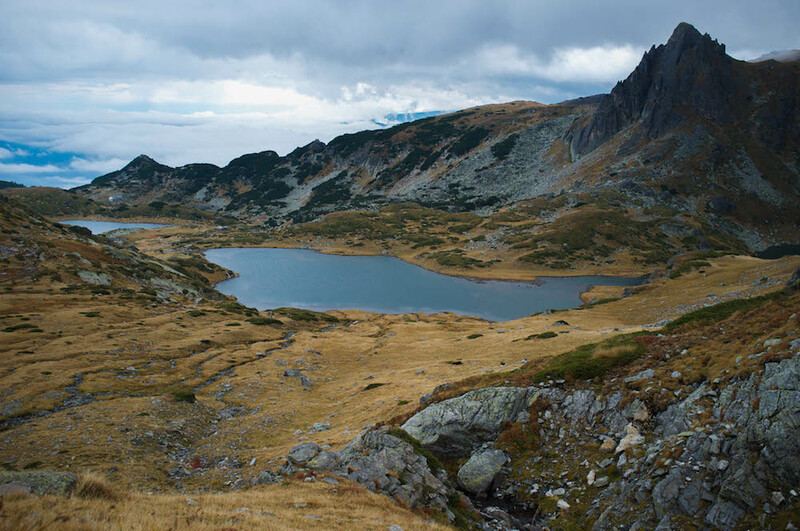 Hiking the Seven Rila Lakes isn’t very physically challenging, so it’s suitable for all. There are chair lifts conveniently getting you up the hill, which can be a pretty cool experience in during the foggy weather. 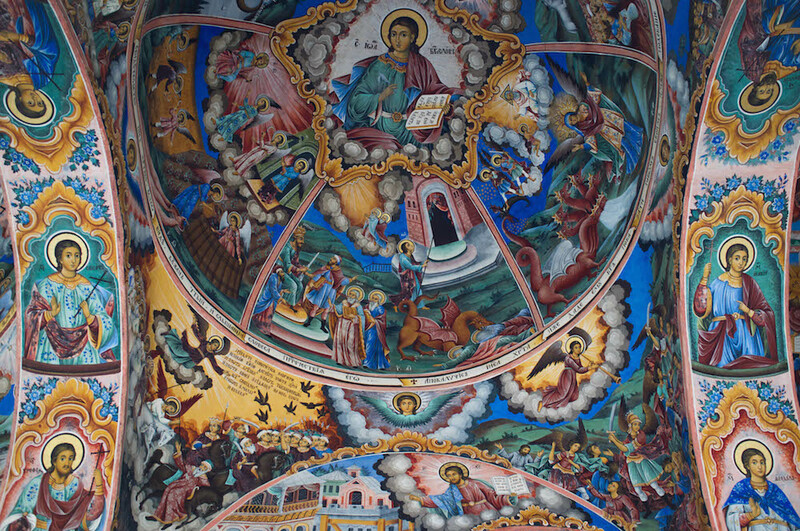 When in Rila, another must-do is to visit the Rila Monastery: the biggest, most famous and arguably most beautiful Eastern Orthodox monastery in Bulgaria. The Rila Monastery is cozily tucked in the mountains, in a very romantic, quiet and peaceful spot. Founded in the 10th century by Ivan of Rila, a hermit and a saint, the monastery now attracts about a million of visitors per year. Being a Russian myself, I’ve obviously seen many Orthodox monasteries and churches before, but this one is particularly striking! Musala, known as the Everest of the Balkans, is the highest peak in the region (2925m) and a true Bulgaria travel adventure! 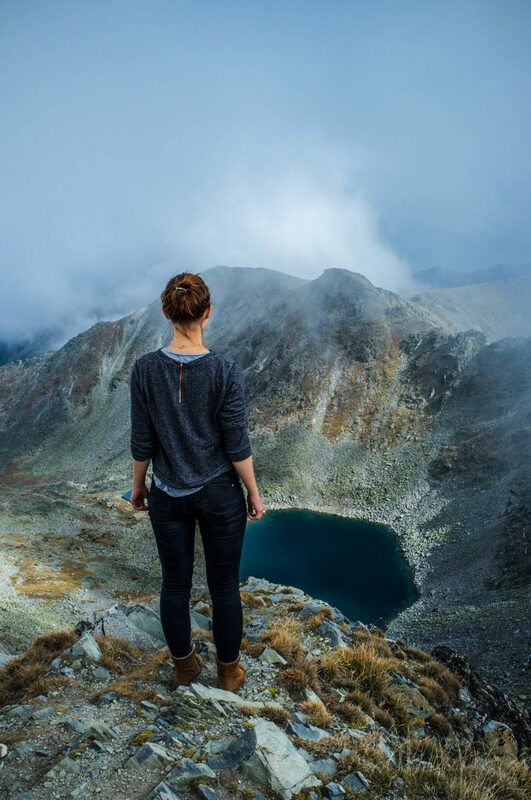 Now, if Seven Rila Lakes goes relatively easy on your physique, you should be prepared for greater challenges if you set your eye on the Musala. And not only that — you have to be equipped, too. Geographically, Musala lies a bit off the beaten path, and it’s not that easy to get there. You can either get there by car (the most convenient option) or take buses to Borovets, from where you can start the hike. It’s a stunning, challenging and therefore a very gratifying hike. From Borovets, it takes a few hours to climb the mountain, and, as you finally reach the ending point and stand on the top of the peak, nothing feels more empowering. They say the Rhodope Mountains are located between heaven and hell. They say the Rhodope Mountains are cursed by gods. They say the Rhodope Mountains was the place where Orpheus found his Euridice, only to lose her forever again. While all of that might be nothing but myths, they also say that the Rhodope Mountains hide some of the most beautiful spots in Bulgaria — and that is definitely true. 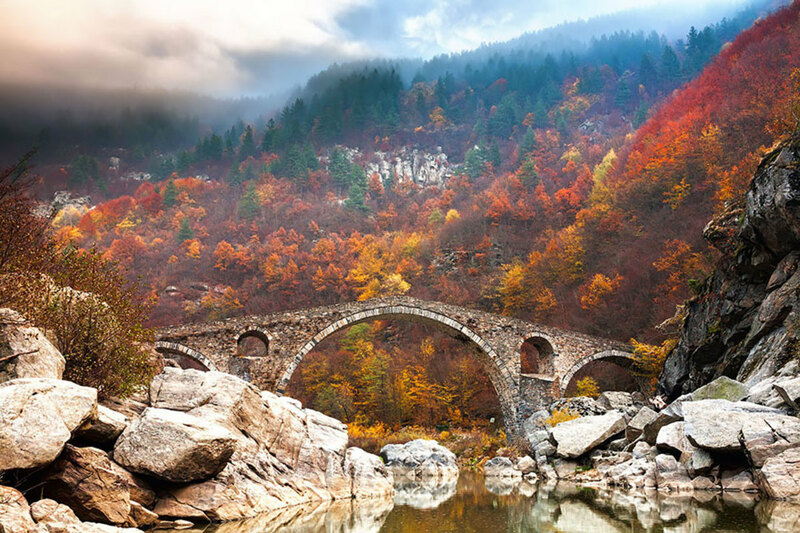 If you have time to travel around Bulgaria, do try to include a visit to this area, full of cultural landmarks (like The Devil’s Bridge on the photo below), truly magical landscapes, and very picturesque hiking trails. 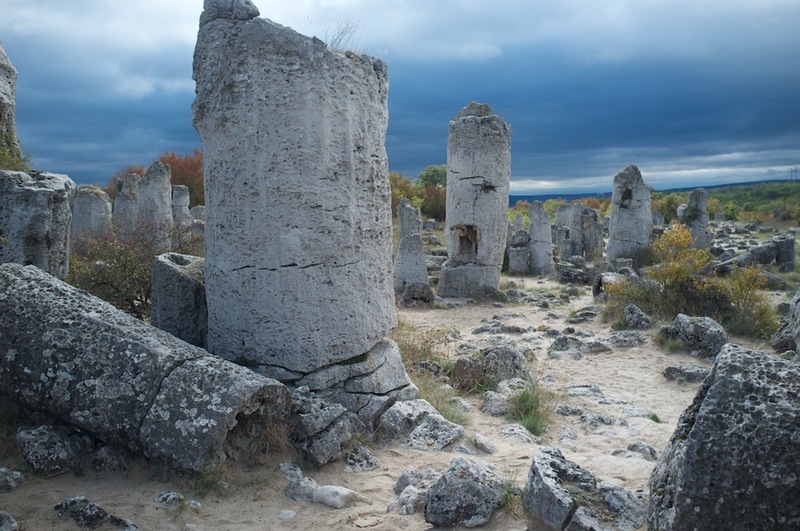 An easy day trip from Varna, the Stone Forest is a destination for curious travellers. The Stone Forest is not a forest, but a desert. In fact, the only desert in Bulgaria and one of the very few in Europe. There are even cacti growing there and stuff. So it’s pretty much a ‘real thing’. Essentially, the Stone Forest is a vast space full of huge, super-old, super-massive pieces of rocks. Older than Stonehenge, taller than Trump Tower (for their time, of course), these formations have been there for millions and millions of years, until they became a national landmark in 1930s. It takes less than an hour to get to the Stone Forest from Varna on a bus, so it can be a quick and easy break from the beaches. By all means, Bulgaria is a true gem of the Balkans. This destination is truly one of the best travel investments you can make, so I do hope that my Bulgaria travel guide was helpful!